Home › Plantar Faciitis › The Plantar Fasciitis Trials – Part 2 – The pain. The Plantar Fasciitis Trials – Part 2 – The pain. To pick up where my story left off (while providing enough “Catch up” info for anyone that didn’t read part 1), I had stepped on a rather sharp rock in my worn-down (not that there is a whole lot to wear down, but there is a difference) Vibram Five Fingers, while trail running. I think that under the circumstances, most people would assume, as I did, That I had bruised the bottom of my foot. 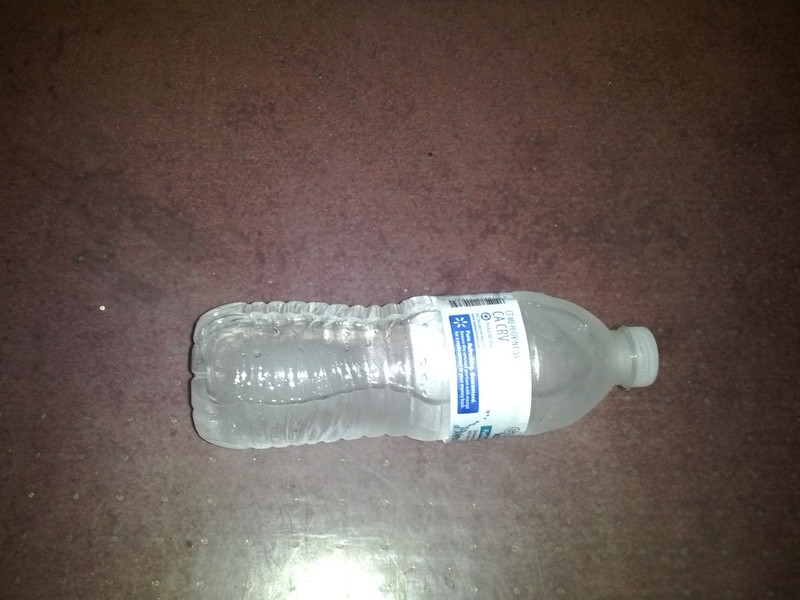 My ice bottle under my desk at my former job! The pain really wasn’t horrible at this point, in fact I would call it relatively minor. I avoided running (because slamming a bruise into the ground over-and-over for several miles didn’t strike me as “fun,”) and used an elliptical for a few days. I was even bright enough to avoid running until the pain was pretty much gone, with only a residual tightness remaining. (In hind-sight, I’ve never had a bruise cause “Tightness.” At the time I did not know what this could be indicative of.) 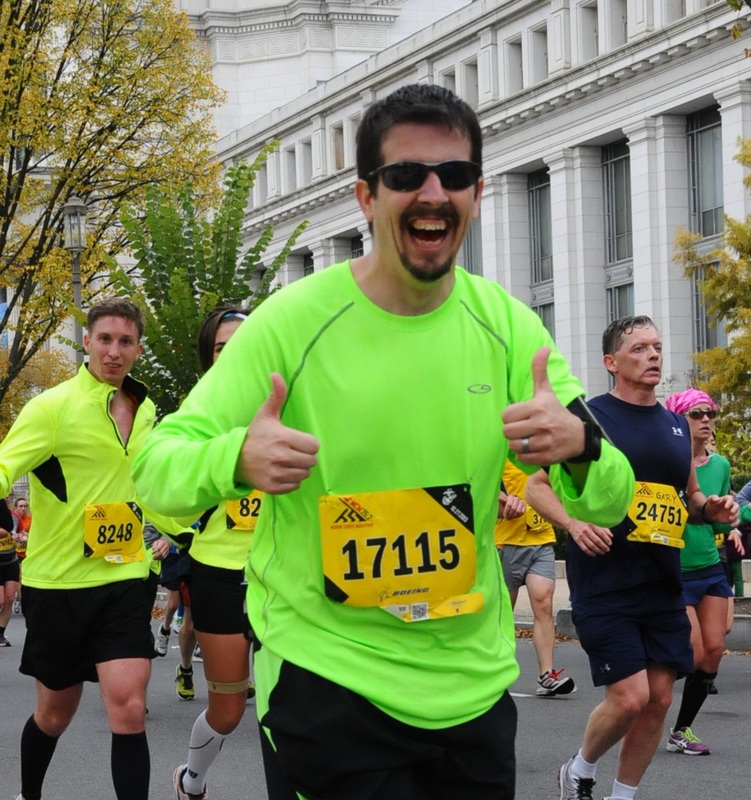 While not running was frustrating, I was pleased with myself for learning from my previous year’s experiences. I still love my stick. This was where I really began to research Plantar Fasciitis. The amount of conflicting information was is, absolutely horrible. You can read “solutions” that run the full gambit, from never walking barefoot again, to those that say to throw out your shoes and only walk barefoot. To make things worse both sides have their shining examples of success. There were countless medical suggestions from Surgery – Cutting the Plantar Fascia (No. Just no.) to Cortisone Shots. There were also things that could be done in the comfort of one’s own home – from stretches to various tools that could supposedly help. Since I was primarily interested in what I might be able to do for myself, at home, I tried to focus in on proposed solutions that involved exercise, or items that o I was really focused in on solutions involving exercises and the like. I tripped across the site of “Coach Ron Jones.” While he is still just an example of one – I found his “solutions” to be interesting. He recommended “The Stick” – Which I already owned (a plus), and a $25.00 item called “The Footlog” – that looked like a giant round lego. I figured its cost of only 25 bucks – made it well worth the chance. Both of these items also went with the advice I had received from one of my readers – Maureen – of getting a massage. for my calf/foot. Well, the massage was a bit more than 25 bucks, but this way – I could try and do the same thing myself! Because there was no “instant cure” – and it still hurt on Monday, I did go in to my Doctor’s office. The Nurse Practitioner there confirmed my self-diagnosis of Plantar Fasciitis, and gave me a prescription for Naproxin to help with the inflammation. First I tape around the ball of my foot. taped (have I mentioned – I have the best wife ever?) by my wife to help relieve the pressure. This gave me the best of both worlds. I was able to walk almost pain-free. After 4 days, I tried a few steps without tape, and had my wife put it back on. It was very slowly getting better.. At this rate I could run again in 2015. I decided it was time, despite my dislike of their “medicine,” to go see a podiatrist. 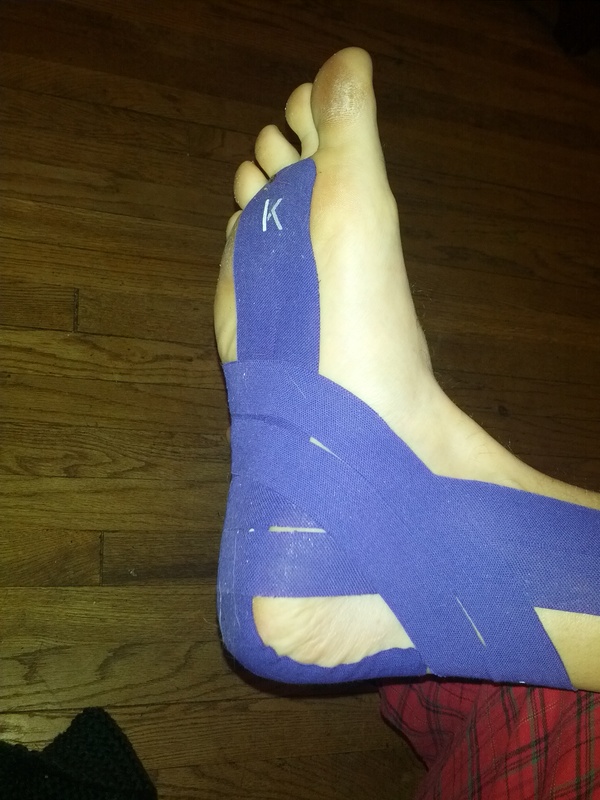 KT Tape – actually wasn’t as effective as the white taping above. ‹ #janathon – Day 7 – a SLOW REST day! That ice bottle uner the desk looks awfuly familiar — I had one just like it! I actually have my footlog at work right now.. I don’t use it a whole lot anymore – but I really should.